Original bluegrass/newgrass, twisting the traditional themes of heartbreak, oddball characters, and faraway places. Click the image to purchase the CD or digital downloads from CD Baby, or just to listen to cuts from the CD. 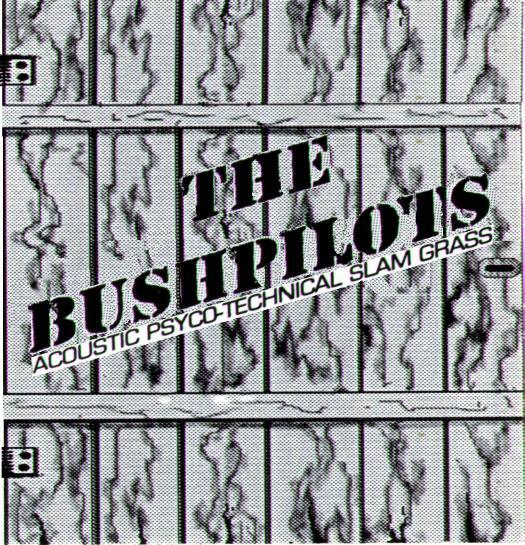 The 1995 debut features the original Bush Pilots line up of Bruce Dalen on guitar and vocals, Ron Benshoof on 12-string guitar and vocals, Pete Moore on mandolin and vocals, and Rainier Farmer on bass. Currently out of production. Click on the image to request a copy from our private stock.